Following the 2012 season, the Brewers cleaned a lot of house when it came to relief pitching. That’s been well-documented here at the blog in a number of posts. Well, a great thing happened not too long ago. Tim Dillard joined Twitter (finally!) under the handle of @DimTillard. He changes his avatar daily during week what with the Movie Quote Mondays, Tim Kurkjian Tuesdays, the newly christened George W Wednesdays, and of course Harry Caray Fridays. Dillard is funny, and personable. 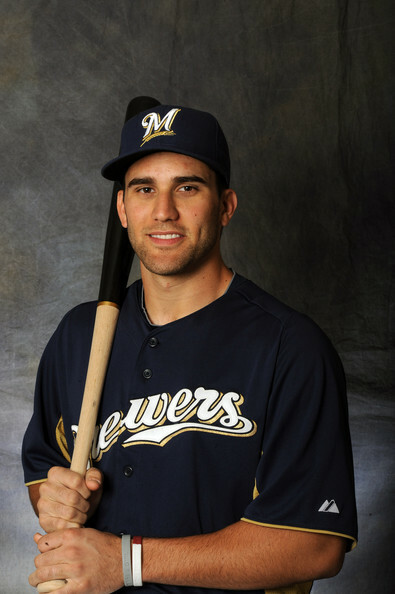 And now he’s back in the Brewers organization. Earlier today, he retweeted a congratulatory tweet from his former roommate. No context was given but I wondered if maybe the not-currently-in-baseball Dillard had found a job somewhere. 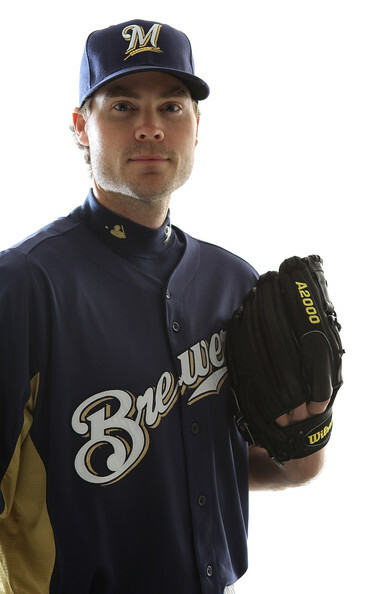 Then later in the day, Brewers.com beat writer Adam McCalvy let the cat out of the bag. He reported that when pitcher Chris Jakubauskas was injured at Triple-A Nashville, Dillard’s phone rang to see if he wanted back in. He accepted and will report to Nashville soon. Welcome back to the side-arming specialist! Now we just have to hope he stays active on Twitter. The Brewers are acutely aware that the next nine games have major implications to not only the remainder the 2012 regular season but also potential impact on the direction of the franchise to a degree. Decision Day is rapidly approaching as I laid out several days ago. To this end, the team is taking this stretch of games very seriously. First, despite Thursday of this week being the final day of the All-Star break the Brewers organized a full-squad workout instead. They are making the most of the opportunity to no doubt review the fundamental aspects of the game which at times seem to be forgotten in the heat of the moment. From not remembering the count at the plate to not remembering how many outs there are when playing defense, from breaking from second on a ground ball hit in front of you to not hitting the cut-off man on a throw home, from not picking up your coaches while running the bases to missing a sign and being caught unaware. The list could go on but that it could belies the problem. There is a lot to refresh. Therefore, it is great news because it shows that the org recognizes how important a strong second half start is. If you go even 5-4 over the next nine games, you may as well sell. Even going 6-3 probably relies on the other teams in front of the Brewers losing more than three in the same span. Making a push is easier when you have better players (or at least players more capable of contributing) on your roster making that push. We already knew back on Sunday that Taylor Green had been optioned to Triple-A Nashville in order to get some playing time and restart his bat but we didn’t know who would be coming up other than that manager Ron Roenicke had said it would be a bat. I guessed Eric Farris because I figured they’d want a right-handed hitter for the infield and Farris was already a member of the 40-man roster. I was right about the right-handedness and the infielder parts, but wrong about who was coming. Jeff Bianchi, a shortstop hitting .305 for the Sounds at the time of his promotion, had his contract selected instead. It makes sense that they would take a chance on Bianchi (said “be-YAIN-key”) because if he can contribute at the big league level he could solidify the position for next year. Bianchi is a former top prospect in the Kansas City Royals’ system but his career was waylaid by some significant injuries. It will be interesting to see if he’s got what it takes. But, Bianchi’s promotion required a opening be made on the 40-man roster. That was accomplished when Tim Dillard was outrighted to Nashville. Dillard, who has been outrighted off of a 40-man roster before, has the right to refuse the assignment and become a free agent. That decision is Dillard’s alone to make and no word has been released to that end yet. Outrighting Dillard opened a spot on the 40-man but it also opened another spot on the 25-man roster and in the bullpen. Taking that spot? Well that would be none other than Tyler Thornburg who has been recalled from Nashville following a sore wrist and one start (a Win) at that level. Whew! Doug Melvin certainly knows how to keep things busy during the two of the slowest days in the sports calendar all year. Last year it was the post-All-Star Game acquisition of Francisco Rodriguez. This year a trio of interconnected moves to help the Brewers make one final mini-push before decisions simply MUST be made. Will this year work like last year? Only time will tell. But instead of waiting until September to find out we’ve only got but nine games in 10 days to wonder. For a baseball team that hasn’t had the greatest track record of cultivating minor league pitching talent to the point of reaching the Major Leagues, being named as its number one pitching prospect could be a designation accepted with lukewarm enthusiasm at best. After all, plenty of other “top” prospects for the Milwaukee Brewers have flamed out or faded away throughout the years, especially in recent history. Mark Rogers can’t stay healthy. Eric Arnett has struggled in Low A. Dylan Covey was diagnosed with diabetes and chose to attend college while learning how to deal with his disease. Several other high draft picks have been released. It’s been a rough road. 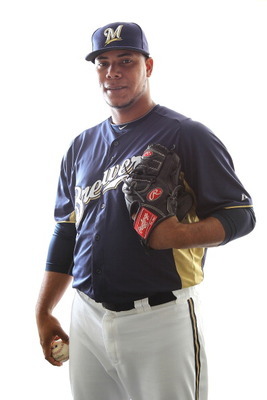 Yes, Yovani Gallardo was drafted and developed by the Brewers. Gallardo has been a tremendous success, especially when compared to his fellow draftees to this point, but he’s clearly and glaringly the exception to an otherwise fairly firm rule. With all the negativity surrounding the Brewers drafts over the last decade or more, it certainly is fortunate that there are other ways to acquire talent then via the draft. Wily Peralta was acquired in alternative fashion when he signed with Milwaukee on November 26, 2005 as a free agent from the Dominican Republic for a bonus in the amount of $450,000. He was only a 16-year-old at the time, a necessary age range to scout in Latin America. Peralta was recently named as the #1 prospect in the Milwaukee Brewers organization, and #49 overall in baseball, by MLB.com. With the next closest fellow Brewers prospect checking it #97 overall (Jed Bradley), it pretty easily christens Peralta with the “top organizational pitching prospect” title belt. Still just 22, Peralta stands at 6’2” and is listed as weighing 240 pounds. He comes at hitters with a mid-90s fastball (having touched 98) and a mid-80s slider. At times last year he flashed a developing changeup as well. A third pitch will be necessary if Peralta is to fill the role of a starting pitcher at the Major League level. Peralta does have a Tommy John surgery in his rearview mirror but is far removed from the surgery as it cost him the 2007 season while rehabilitating. 2009 was really when those outside the organization began to take notice of Peralta. That season he posted a 3.47 ERA, supported by a 118/46 K/BB ratio, while allowing 91 hits in 104 innings pitched for the Low-A affiliate Wisconsin Timber Rattlers. 2010 was spent in both High-A Brevard County (3.86 ERA, 75/40 K/BB, 102 hits in 105 innings pitched) and Double-A Huntsville (3.61 ERA, 29/24 K/BB, 43 hits in 42 innings). Peralta began 2011 at Huntsville and pitched his way not only to Triple-A Nashville during the season but into discussions for a possible September call-up to Milwaukee. At Huntsville, Peralta compiled a 9-7 record, 3.46 ERA with a 117/48 K/BB ratio, 106 hits allowed in 119.2 innings over 21 starts. After his promotion to Nashville, Peralta responded in five starts with a 2.03 ERA, 40/11 K/BB, 21 hits allowed in 31 innings pitched, good for a 1.03 WHIP. Scouts see a lot of things to like in Peralta. He’s considered physically strong, but at a listed 240 pounds on a 6’2” frame, scouts do believe he’ll have to closely monitor his conditioning. As for the pitching itself, his delivery is consistent and repeatable, and he generates easy heat with it as evidenced by the speeds I listed earlier. His slider is above average and shows late sweep, and he’s improved his changeup considerably. Again, if his improvements hold into the 2012 season, he’ll have shown enough of an arsenal to stay as a starter. Last year, Peralta finished with a 1.39 ground out to air out ratio as well, which, if you’ve got a competent defense working behind you, isn’t a bad thing. The main problem for Peralta during his minor league career has been spotty command, but he reduced his walk rate this year and once again increased his strikeouts. If he maintains the progress with his command, he currently projects as probably a solid number three starter who gives you plenty of quality innings. And if he reaches that projection he’ll have certainly come a long way to join Gallardo as a welcomed exception.